TLJ Daily E-Mail Alert No. 2,553, April 23, 2013. Tuesday, April 23, 2013, Alert No. 2,553. 4/23. Rep. Darrell Issa (R-CA) and Rep. Zoe Lofgren (D-CA) introduced HR 1663 [LOC | WW | PDF], the "Promoting Automotive Repair, Trade, and Sales Act of 2013" or "PARTS Act" in the House on April 23, 2013. This bill would amend the Patent Act to provide an exemption from infringement of design patents for certain component parts of motor vehicles -- primarily collision repair parts. On the same day, Sen. Sheldon Whitehouse (D-RI) and Sen. Orrin Hatch (R-UT) introduced the companion bill in the Senate, S 780 [LOC | WW]. 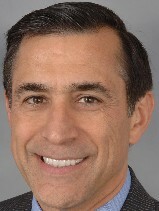 Rep. Issa and Rep. Lofgren introduced a similar bill in the 112th Congress, HR 3889 [LOC | WW], on February 2, 2012. The House Judiciary Committee's (HJC) Subcommittee on Intellectual Property, Competition and the Internet held a hearing on that bill on August 1, 2012. See, hearing record [85 pages in PDF], Serial Number 112-144. However, no further action was taken on that bill in the 112th Congress. The just introduced bills are very similar, but not identical, to HR 3889. These bills would not affect utility patents, which provide exclusive rights in new and useful inventions. These bills would affect automotive design patents, and particularly those in parts frequently damaged in collisions, such as panels, fenders, grills, bumpers, lights, and mirrors. These bills would not affect design patents in other industry sectors. However, the argument exists that if the Congress were to enact this bill, then the Congress would be inundated with demands to create exemptions for other industries. Yet, it is particularly the nature of automobiles, but not most other consumer products, to collide with things in ways that cause lots of damage, and the need for replacement of damaged parts. Refrigerators, for example, are rarely sideswiped or rear ended. The Consumer Federation of America, Consumers Union and automobile insurance companies support this proposal. Automobile companies oppose this proposal. Sen. Whitehouse stated in the same release that "Having to replace a car part is frustrating enough; drivers shouldn’t have to pay artificially high prices set by car manufacturers ... This bill will preserve competition in the car-parts market and ultimately allow consumers to get safe replacement parts at lower prices." These bills would amend 35 U.S.C. § 271, which provides a private right of action for patent infringement, and lists activities that constitute infringement. That is, this section provides that "whoever without authority makes, uses, offers to sell, or sells any patented invention, within the United States or imports into the United States any patented invention during the term of the patent therefor, infringes the patent". (1) With respect to a design patent that claims a component part of a motor vehicle as originally manufactured -- (A) it shall not be an act of infringement of such design patent to make or offer to sell within the United States, or import into the United States, any article of manufacture that is similar or the same in appearance to the component part that is claimed in such design patent if the purpose of such article of manufacture is for the repair of a motor vehicle so as to restore such vehicle to its appearance as originally manufactured; and (B) after the expiration of a period of 30 months beginning on the first day on which any such component part is first offered to the public for sale as part of a motor vehicle in any country, it shall not be an act of infringement of such design patent to use or sell within the United States any article of manufacture that is similar or the same in appearance to the component part that is claimed in such design patent if the purpose of such article of manufacture is for the repair of a motor vehicle so as to restore such vehicle to its appearance as originally manufactured." These bills would have retroactive application. 4/16. Robert Kasunic was named the Copyright Office's (CO) Associate Register of Copyrights and Director of Registration Policy & Practice. Kasunic (at right) has worked at the CO since 2000. He has also long taught courses on copyright law as an adjunct professor at George Washington University and American University. 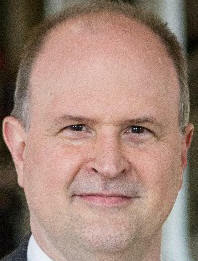 The CO stated in a release that Kasunic "will serve as the principal advisor to the Register on legal and business issues relating to the administration of the national registration system; will manage a large staff of subject matter experts; and will work collaboratively with senior staff across the Copyright Office and the greater Library of Congress to create and maintain 21st century standards for registration of claims, deposit of creative works and the creation of public records. He will also "play a major role in implementing the Office's forthcoming Compendium of Copyright Office Practices this fall". The CO release makes no mention of his work on the CO's triennial DMCA anti-circumvention exemptions proceedings. The Congress enacted the Digital Millennium Copyright Act (DMCA) in 1998. It, among other things, contains the ban on circumventing "a technological measure that effectively controls access to a work protected under this title". See, 17 U.S.C. § 1201 at subsection (a)(1)(A). The DMCA also requires that the CO conduct a rulemaking proceeding every three years to establish exemptions to the prohibition of subsection (a)(1)(A) for certain non-infringing uses. Kasunic has been the lead attorney in these proceedings. These proceedings have attracted controversy since the beginning. The CO's fifth triennial rules, which went into effect in January, ended an exemption contained in the fourth triennial rules relating to cell phone unlocking. This prompted some members of Congress to introduce bills on the subject. S 467 [LOC | WW], the "Wireless Device Independence Act of 2013". S 481 [LOC | WW], the "Wireless Consumer Choice Act". S 517 [LOC | WW] and HR 1123 [LOC | WW], the "Unlocking Consumer Choice and Wireless Competition Act". "Obama Administration Urges Creation of DMCA Anti-Circumvention Exemption for Unlocking Cell Phones" in TLJ Daily E-Mail Alert No. 2,530, March 5, 2013. "Cell Phone Unlocking Bills Introduced", "Sen. Wyden Introduces Bill to Amend DMCA to Create an Exemption for Unlocking", "Sen. Klobuchar Introduces Bill to Authorize FCC to Direct Wireless Device Unlocking", "Sen. Leahy Introduces Bill to Reinstate Librarian of Congress's Cell Phone Unlocking Exemption", and "House Judiciary Committee to Consider Legislation to Allow Cell Phone Unlocking" in TLJ Daily E-Mail Alert No. 2,533, March 11, 2013. "House Judiciary Committee Members Introduce Cell Phone Unlocking Bill" in TLJ Daily E-Mail Alert No. 2,536, March 19, 2013. "Public Knowledge Advocates Permanent Fix for Cell Phone Unlocking" in TLJ Daily E-Mail Alert No. 2,543, April 1, 2013. 4/23. 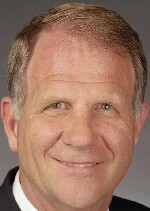 Rep. Ted Poe (R-TX) spoke in the House condemning the fact that the Internal Revenue Service (IRS) can access cloud stored e-mail without a warrant. He argued that the ECPA should be amended to require that the government obtain a court warrant based upon probable cause to access cloud stored e-mail. Rep. Poe (at right) said that "Let's say the IRS decides to snoop around and secretly investigate a citizen named Joe and his taxes. Right now, the government can go to Joe's email provider, demand his email records, and check on his finances that are stored in the cloud, all without Joe's knowledge or consent." See, Congressional Record, April 23, 2013, at pages H2165-6. "Government agencies have the authority to snoop around through private emails and photos as long as they are 180 days old, no warrant required. How is this possible? Well, it's called the outdated Electronic Communications Privacy Act, ECPA. ECPA was passed back in 1986, the stone age of technology, when most Americans didn't even own a home computer, much less use email or store things in a cloud." "In other words", Rep. Poe continued, "Big Government can force a private company to turn over private information of a citizen, without their consent, without a warrant, and without that person's knowledge. This circumvents the Fourth Amendment's prohibition against unreasonable searches and seizures of Americans' ``persons, houses, papers, and personal effects.´´"
He argued that the "Government should get a warrant if it has probable cause to believe a crime is being committed. Technology may have changed, but the Fourth Amendment still applies to the Internet." The House Judiciary Committee's (HJC) Subcommittee on Crime, Terrorism, Homeland Security and Investigations will hold a hearing titled "The Electronic Communications Privacy Act (ECPA), Part 2: Geolocation Privacy and Surveillance" at 10:00 AM on Thursday, April 25. This hearing will not focus on the issue raised by Rep. Poe. Also on April 25, at 9:30 AM, the Senate Judiciary Committee (SJC) will hold an executive business meeting for which the agenda includes consideration of S 607 [LOC | WW], the "Electronic Communications Privacy Act Amendments Act of 2013". S 607 would address the issue raised by Rep. Poe. It would require the IRS, and any other government agency, to obtain a warrant to access cloud stored e-mail. See also, story titled "Senate Judiciary Committee Approves Leahy Bill to Require Warrant for Accessing Cloud Stored E-Mail" in TLJ Daily E-Mail Alert No. 2,479, November 30, 2012, and story titled "Sen. Leahy and Sen. Lee Introduce Bill to Require Warrant to Access Cloud Stored E-Mail" in TLJ Daily E-Mail Alert No. 2,538, March 21, 2013. 4/11. Rep. Charles Boustany (R-LA), Chairman of the House Ways and Means Committee's (HWMC) Subcommittee on Oversight, sent a letter to the Internal Revenue Service (IRS) in which he asked questions about IRS search practices involving electronic communications and social media. Rep. Boustany (at right) wrote that "Recent media reports have disturbingly claimed that it is the IRS's view that it does not need a search warrant to review certain electronic communications by private citizens. Other reports state that IRS officials have used social media, such as Facebook and Twitter, to mine additional information about taxpayers." He also propounded interrogatories, to be answered by the IRS by April 26, 2013. He asked, for example, that the IRS explain its "current policy on searching taxpayer emails, including when it believes it must obtain a search warrant and when it does not", and provide copies of any relevant IRS memos or guidelines. He also asked that the IRS explain its "current policy on searching and reviewing taxpayer social media profiles", and provide copies of any IRS memos or guidelines. The Senate will meet at 9:30 AM. It is scheduled to consider the nominations of Jane Kelly to be a Judge of the U.S. Court of Appeals (8thCir) and Sylvia Burwell to be Director of the Office of Management and Budget. Day four of a four day conference hosted by the NTCA titled "2013 NTCA Legislative and Policy Conference". See, notice. Location: Hyatt Regency Washington on Capitol Hill, 400 New Jersey Ave., NW. 8:30 AM - 4:30 PM. The American Bar Association (ABA) will host an event titled "Trademark Day: Behind the Scenes at USPTO". Prices vary. See, notice. Location: Trademark Office, USPTO, Alexandria, VA.
10:00 AM. The House Foreign Affairs Committee (HFAC) will hold a hearing titled "Export Control Reform: the Agenda Ahead". The witnesses will be Thomas Kelly (Department of State), Kevin Wolf (Assistant Secretary of Commerce for Export Administration), and Kathleen Hicks (Department of Defense). See, notice. Location: Room 2172, Rayburn Building. 10:00 AM. The House Science Committee's (HSC) Subcommittee on Technology and Subcommittee on Research will hold a joint hearing titled "Next Generation Computing and Big Data Analytics". The witnesses will be David McQueeney (IBM), Michael Rappa (North Carolina State University), and Farnam Jahanian (National Science Foundation). See, notice. Location: Room 2318, Rayburn Building. 10:00 AM. The Senate Finance Committee (SFC) will hold a hearing titled "The Trans-Pacific Partnership: Opportunities and Challenges". The witnesses will be Karan Bhatia (Generral Electric Company), Bob Hanson (Montana Farm Bureau Federation), David Hirschmann (U.S. Chamber of Commerce), and Tom Suber (U. S. Dairy Export Council). See, notice. Location: Room 215, Dirksen Building. 12:15 - 1:45 PM. The Federal Communications Bar Association (FCBA) will host a brown bag lunch titled "FCBA Website Redesign Discussion". Location: Squire Sanders, 1200 19th St., NW. 1:30 - 3:00 PM. The Center for Strategic and International Studies (CSIS) will host a panel discussion titled "Interpreting Xi Jinping's First Trip Abroad: Glimpses of an Emerging Diplomatic Strategy?" The speakers will be Zbigniew Brzezinski (CSIS), David Lampton (Johns Hopkins University), and Christopher Johnson (CSIS). See, notice. Location: CSIS, B1 Conference Room, 1800 K St., NW. 2:30 PM. The Senate Commerce Committee (SCC) will hold a hearing titled "A Status Update on the Development of Voluntary Do-Not-Track Standards". The witnesses will be Harvey Anderson (Mozilla), Justin Brookman (Center for Democracy and Technology), Luigi Mastria (Digital Advertising Alliance), and Adam Thierer (George Mason University). See, notice. Webcast. Location: Room 253, Russell Building. 2:30 PM. The Senate Judiciary Committee (SJC) will hold a hearing on the nominations of Raymond Chen (USCA/FedCir) and Jennifer Dorsey (USDC/DNev). Webcast. See, SJC notice and story titled "Obama Nominates Raymond Chen for Federal Circuit" in TLJ Daily E-Mail Alert No. 2,522, February 8, 2013. Location: Room 226, Dirksen Building. 6:00 - 8:15 PM. The Federal Communications Bar Association (FCBA) will host an event titled "Introduction to Legislative Drafting in the House of Representatives". Prices vary. CLE credits. See, notice. Location: Bingham McCutchen, 2020 K St., NW. 9:00 - 10:30 AM. The Information Technology and Innovation Foundation (ITIF) will host a panel discussion titled "What's on the Agenda for the New FCC?". The speakers will be Robert Atkinson (ITIF), Richard Bennett (ITIF), Rick Chessen (NCTA), Blair Levin (Aspen Institute), Randolph May (Free State Foundation), Christopher McCabe (CTIA), Gigi Sohn (Public Knowledge). See, notice. Location: ITIF/ITIC, Suite 610A, 1101 K St., NW. TIME CHANGE. 10:00 AM. 9:30 AM. The Senate Judiciary Committee (SJC) will hold an executive business meeting. The agenda includes consideration of S 607 [LOC | WW], the "Electronic Communications Privacy Act Amendments Act of 2013", and S 744 [LOC | WW], the "Border Security, Economic Opportunity, and Immigration Modernization Act". See, notice. Live and archived webcast. Location: Room 226, Dirksen Building. 9:30 AM - 1:00 PM. The Institute for Policy Innovation (IPI) will host an event titled "8th Annual World Intellectual Property Day Forum". The speakers will include Stan McCoy (Assistant U.S. Trade Representative for Intellectual Property and Innovation) and James Pooley (Deputy Director General for Patents at the World Intellectual Property Organization). Other speakers include Richard Epstein (NYU School of Law), Ben Cockerham and Chris Potter (YouTube/Google), Laurie Self (Qualcomm), and Chris Ruen. Free. Open to the public. Breakfast and lunch will be served. See, notice and registration page. Location: Reserve Officers Association, 1 Constitution Ave., NE. 10:00 AM. The House Judiciary Committee's (HJC) Subcommittee on Crime, Terrorism, Homeland Security and Investigations will hold a hearing titled "The Electronic Communications Privacy Act (ECPA), Part 2: Geolocation Privacy and Surveillance". The witnesses will be Mark Eckenwiler (Perkins Coie), Peter Modafferi (International Association of Chiefs of Police), Catherine Crump (ACLU), and Matt Blaze (University of Pennsylvania). See, notice. Location: Room 2141, Rayburn Building. 10:00 AM. The House Small Business Committee's (HSBC) Subcommittee on Contracting and Workforce will hold a hearing titled "The Small Business STEM Workforce Shortage and Immigration Reform". The witnesses will include Morgan Reed (Association for Competitive Technology). See, notice. Location: Room 2360, Rayburn Building. 10:00 PM. The House Intelligence Committee (HIC) will hold a closed hearing titled "Ongoing Intelligence Activities". See, notice. Location: Room HVC-304, Capitol Building. 10:30 AM. The House Commerce Committee's (HCC) Subcommittee on Communications and Technology (SCT) will hold a hearing on the Federal Communications Commission's (FCC) lifeline universal service tax and subsidy program. The witnesses will be Geoff Feiss (Montana Telecommunications Association), Jessica Gonzalez (National Hispanic Media Coalition), Billy Jack Gregg, Christopher McCabe (CTIA), Phillip Jones (National Association of Regulatory Utility Commissioners), and Julie Veach (Chief of the FCC's Wireline Competition Bureau). See, HCC notice, and story titled "House Commerce Committee Republicans Write FCC Regarding Growth, Waste and Abuse in Lifeline Subsidy Program" in TLJ Daily E-Mail Alert No. 2,542, March 27, 2013. Location: Room 2123, Rayburn Building. POSTPONED. 10:30 AM. The Senate Commerce Committee's (SCC) Subcommittee on Communications, Technology and the Internet will hold a hearing titled "The State of Wireless Communications". The witnesses will be Jonathan Spalter (Mobile Future), Doug Webster (Cisco Systems), Steven Berry (Competitive Carriers Association), Delara Derakhshani (Consumers Union), and Thomas Nagel (Comcast). See, notice. Webcast. Location: Room 253, Russell Building. 1:00 PM. The US Telecom will host a webcast seminar titled "The Future of the Connected Living Room". The speaker will be Michael Wolf (NextMarket Insights and Forbes). Free. Open to the public. See, notice. 2:00 PM. The House Foreign Affairs Committee (HFAC) will meet to mark up HR 419 [LOC | WW], the "Taiwan Policy Act of 2013". See, notice. Location: Room 2172, Rayburn Building. 2:00 PM. The House Homeland Security Committee's (HHSC) Subcommittee on Cybersecurity, Infrastructure Protection and Security Technologies will hold a hearing titled "Protecting Our Nation's Critical Intrastructure from Cyber Attack and Ensuring Privacy and Civil Liberties". The witnesses will be Mary Ellen Callahan (Jenner & Block), Cheri McGuire (Symantec), and Harriet Pearson (Hogan Lovells). See, notice. Location: Room 311, Cannon Building. 2:00 PM. The Senate Foreign Relations Committee's (SFRC) Subcommittee on East Asian and Pacific Affairs will hold a hearing titled "Rebalance to Asia II: Security and Defense: Cooperation and Challenges". The witnesses will be Joseph Yun (Department of State), Mark Lippert (Department of Defense), and Nina Hachigian (Center for American Progress). See, notice. Location: Room 419, Dirksen Building. TIME?. The American Bar Association (ABA) will host a webcast panel discussion titled "Implementation of Satellite Export Control Reform Legislation". The speakers will be Patricia Cooper, Sam Black, and Matthew Kleiman. No CLE credits. See, notice. 8:30 - 11:00 AM. The Information Technology and Innovation Foundation (ITIF) will host a panel discussion titled "Bandwidth for the Buck: The State of Broadband Access and Competition in the US". The speakers will be Robert Atkinson (ITIF), Robert Atkinson (Columbia Institute for Tele-Information), Jeffrey Eisenach (Navigant), and Jodie Griffin (Public Knowledge). See, notice. Location: ITIF/ITIC, Suite 610A, 1101 K St., NW. 9:00 AM - 4:00 PM. The Federal Communications Commission's (FCC) Consumer Advisory Committee will meet. See, notice in the Federal Register, Vol. 78, No. 67, April 8, 2013, at Pages 20918-20919. Location: FCC, Commission Meeting Room, 445 12th St., SW.
1:00 - 2:30 PM. The American Bar Association (ABA) will host a webcast and teleconferenced panel discussion titled "IP and the Comic Book Superhero". The speakers will be James Daily (Stanford University Hoover Project on Commercializing Innovation), Brad Desnoyer (DC Comics), Janet Fries (Drinker Biddle & Reath), Martha Voelz (S. H. Jacobs & Associates), and David Postolski (Day Pitney). Prices vary. CLE credits. See, notice. The House will not meet the week of April 29 through May 3. See, House calendar for the 113th Congress, 1st Session. 2:00 - 4:15 PM. The Brookings Institution (BI) and Center for Strategic and International Studies (CSIS) will host a pair of panel discussions titled "Taiwan's Response to an Evolving Security Environment". The speakers will be Richard Bush (BI), Bonnie Glaser (CSIS), Andrew Yang (Taiwan's Vice Minister of National Defense for Policy), Chia-Sheng Chen (Taiwan Ministry of National Defense), and Phillip Saunders (National Defense University). See, CSIS notice and BI registration page. There will be no live webcast. The BI will publish an archived audio recording later in the day, and a transcript within a couple of days. Location: BI, 1775 Massachusetts Ave., NW. 6:00 - 8:15 PM. The Federal Communications Bar Association (FCBA) will host an event titled "FirstNet: Views from the Inside and Outside". Prices vary. CLE credits. Registrations and cancellations are due by 12:00 NOON on Friday, April 26. See, notice. Location: Squire Sanders, 1200 19th St., NW. EXTENDED TO JUNE 21. Deadline to submit reply comments to the Federal Communications Commission (FCC) in response to its Notice of Proposed Rulemaking (NPRM) regarding elevating the allocation status of Earth Stations Aboard Aircraft (ESAA) in the 14.0-14.5 GHz band from secondary to primary and whether giving ESAA licensees primary status in the 14.0-14.5 GHz band would require a change to the technical rules. The FCC adopted this NPRM on December 20, 2012, and released it on December 28, 2012. It is FCC 12-161 in IB Docket No. 12-376. See also, original notice in the Federal Register, Vol. 78, No. 46, March 8, 2013, at Pages 14952-14957. See, second notice in the FR, Vol. 78, No. 61, March 29, 2013, at Page 19172. Deadline to submit comments to the Department of Commerce's (DOC) National Institute of Standards and Technology (NIST) regarding the cyber security regulatory regime initiated by Executive Order of February 13, 2013. See, notice in the Federal Register Vol. 78, No. 60, March 28, 2013, at Pages 18954-18955. See also, stories titled "Obama Signs Cyber Security Order and Policy Directive" in TLJ Daily E-Mail Alert No. 2,525, February 19, 2013, and "NIST Issues Cyber Security NOI" in TLJ Daily E-Mail Alert No. 2,542, March 27, 2013. Deadlines to submit nominations to the Department of Commerce (DOC) for membership on its Federal Economic Statistics Advisory Committee. See, notice in the Federal Register, Vol. 78, No. 61, March 29, 2013, at Pages 19191-19192. TIME? The Department of State's (DOS) International Telecommunication Advisory Committee's (ITAC) ITAC-D ad hoc will meet to discuss preparation for the ITU World Telecommunication Development Conference (WTDC 2014). See, notice in the Federal Register, Vol. 78, No. 57, March 25, 2013, at Pages 17992-17993. Location: Fourth floor West Tower, 1300 I St., NW. Deadline to submit reply comments to the Federal Communications Commission's (FCC) Media Bureau (MB) in response to its Public Notice, DA 13-281 in MB Docket No. 13-50, released on February 26, 2013, regarding the August 31, 2012 letter from the Coalition for Broadcast Investment regarding FCC restrictions on foreign ownership and voting interests. See also, notice in the Federal Register Vol. 78, No. 55, March 21, 2013, at Pages 17395-17403. Extended deadline to submit comments to the U.S. Patent and Trademark Office (USPTO) regarding whether there should be a small claims process for patent enforcement. See, original notice in the Federal Register (FR), Vol. 77, No. 243, December 18, 2012, at Pages 74830-74831, and extension notice in the FR, Vol. 78, No. 44, March 6, 2013, at Pages 14515-14516. See also, story titled "USPTO Seeks Comments on Creation of Patent Small Claims Process" in TLJ Daily E-Mail Alert No. 2,494, December 19, 2012. 9:30 AM. The Securities and Exchange Commission's (SEC) Advisory Committee on Small and Emerging Companies will meet. See, notice. Location: SEC, Multi-Purpose Room LL-006, 100 F St., NE. 12:15 - 1:30 PM. The Federal Communications Bar Association's (FCBA) Engineering and Technical Committee will host a brown bag lunch titled "Wireline Broadband Technology Advances -- Getting a Gigabit to the Home". Location: T-Mobile, North Building, Suite 800, 601 Pennsylvania Ave., NW.